Creating an avatar of your customer is an important task to complete – for anyone wanting to succeed in any type of business. This ebook explains why you need an avatar, how to create one, and then how to communicate with your avatar effectively. 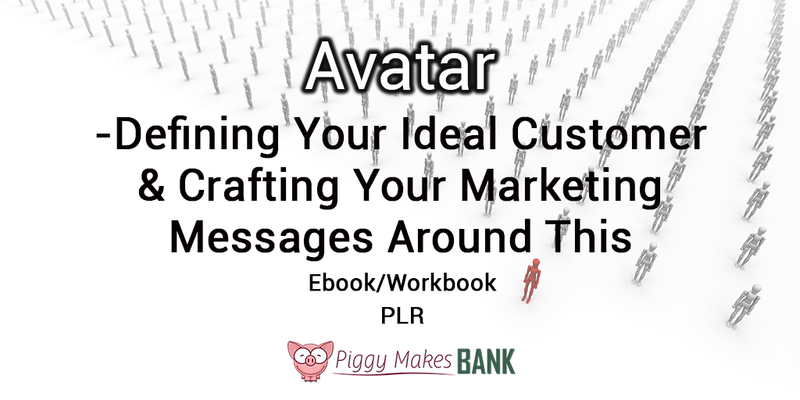 Teach your readers what an avatar is, why it’s important to complete this whole process, as well as exactly how to create a customer avatar, and more with this eBook/workbook combo. 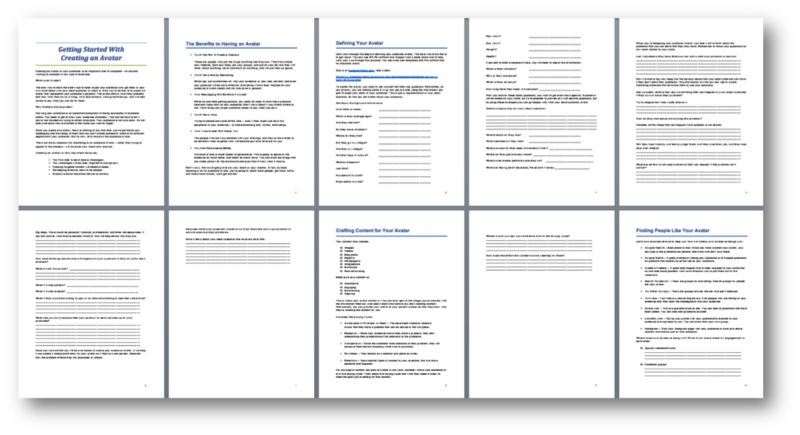 This meaty 6,062 word eBook would make a great info product that you can promote to your audience. It would be a perfect addition to The Power of One Thing for Your Business pack we offer, but works just as well as a standalone product. Edit it slightly as needed to fit your audience and your style, and you can have a brand new eBook up and ready for sale over the course of a day or two. Or take the content and use it to create a class or coaching program on the topic. Of course, you can also break the content apart and use it as you see fit. Break it down into three shorter reports to use as lead magnets, or create a long series of blog posts. No matter how you decide to use the content, your readers will appreciate this information on how to get started defining your customer avatar. A workbook to help your readers learn how to create their customer avatar.